Monasticism is simply a radical living out of the Gospel of Jesus Christ. Following in the footsteps of the Apostles and the early Desert Fathers, monks have heard Christ’s words to the rich young man, “If you would be perfect, go, sell what you possess and give it to the poor, and you will have treasure in heaven; and come, follow me” (Matthew 19:21). Striving to love God with “all their heart, soul, mind, and strength” (Mark 12:30), monks leave all things, “counting everything as loss because of the surpassing worth of knowing Christ Jesus” (Philippians 3:8). To be a monk is to be “dead to the world” in order to be “alive in Christ”. Does this mean, then, that the monk rejects others in his pursuit of God? By no means! As one early Father put it, “a monk is separated from all and united to all.” He realizes the unity of all in Christ and his life becomes one of prayer for the world. The monk embraces all in his heart, and with prayer and tears implores the mercy of God upon all the earth. Traditionally, monastics have always had hospitality as an important aspect of their life, to share a bit of their life with the faithful. At other times, monks have been called out of their monasteries to do apostolic ministry when needed. Even Saint Anthony the Great abandoned his beloved solitude when it was called for. In whatever situation the monk finds himself, however, his goal is to live “in Christ”. The heart of the life of any Orthodox monastery is prayer, and the heart of prayer is a deep and intimate relationship with Christ. Christ is encountered in a myriad of ways in the ordinary life of the brotherhood: in the public prayers, the life of discipline and spiritual effort, the interactions between the brothers, and in the way they, in turn, relate with the outside world. Most particularly, Christ is encountered in the very many hours of private prayer which each monk undertakes each day, both in his cell rule and as he goes about his daily work. To facilitate this encounter, the monastery has to be a safe place. In general terms, this ‘safe place’ is created through the common life of the monks, based on the four vows of traditional Orthodox monasticism. These are the vows which the monks take when they become ‘stavrophores’ (literally, “cross bearers”) which is the grade of monasticism which most monks eventually reach. The community of a monastery consists of those who have already taken these vows, and those who are preparing to do so. The four vows are: chastity, poverty, obedience and stability. Just what these words signify is an important question, and one which each monk will face with some frequency during his life. Each vow has an obvious and straightforward meaning, and it is this straightforward meaning which governs the daily life of the community, its customs and traditions. However, in the observance of the four vows there is also a deeper, personal significance which each monk must ponder in terms of his own life and situation. These four vows, then, create a safe space in which the monastic life is possible. To illustrate how this works, it may be helpful to think in terms of a four-dimensional space, with each vow providing one of those dimensions. Taking the imagery a little further, it is possible to say that the space which is created by those four dimensions is one in which the love of God is made manifest. Each monk lives within this ‘matrix of love’ simultaneously taking from, and contributing to, the experience of the brotherhood as a whole. Living a life of total inter-dependence, where each person of the monastic family depends upon everyone else, the monk learns to surrender to the will of God at a yet more and more profound level. In return for surrendering all that he is, all that he has, and all that he might become, the monk receives all that he needs (although not necessarily all that he wants!) including a very subtle, yet essential, quality of trust in God. As this trust develops he feels more and more able to surrender his own ego, and live in a state of total surrender, yet total security. With the surrender of the ego, the monk can even reach a level of living in which the notion of his own “wants” ceases to exert any power over him. Some men adapt to monastic life easily, others less so. 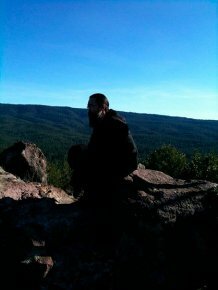 There is a great need to spend some time in unhurried and un-pressured contemplation of whether or not monastic life in general, and monastic life at a certain monastery in particular, is suitable for any given candidate. Thus, there is built into the structure of monastic life the various stages at which the individual is confronted by his own decision to remain in the monastery. While it is possible to see monasticism as a “vocation” or calling, it may be more useful to view it as the self-offering of an individual. That self-offering then has to be accepted by a particular monastic community in order for it to come to fruition. The importance of the monastery is not, however, limited to the members of the brotherhood. The reality which the monks experience on a daily basis becomes available to friends, pilgrims and visitors who come to the monastery for longer or shorter periods of time. Even the experience of being around the monastic community for a few hours can effect great changes in people’s lives. Since a monastery is par excellence a place of healing, the life of the community spills over into the lives of the greater community, affording very many opportunities for repentance, healing and a deep and abiding sense of spiritual happiness. The Monastery of St. John in Manton, California came into being through the untiring efforts of Metropolitan Jonah (Paffhausen), former head of the Orthodox Church in America. He founded the monastery and was responsible for making it work long before he was officially designated abbot, and his vision continues to inspire and motivate us. We are also extremely fortunate to have Archbishop Benjamin of San Francisco and the West as our archpastor in the Diocese of the West. A monastery without guests is something less than ideal. Even the desert fathers were accustomed to receiving guests. So, although we are a little off the beaten track, we welcome visitors, once they have made arrangements with our guestmaster (email us at: office@monasteryofstjohn.org) to ensure that we have the ability to provide them with hospitality. Come to discern if the monastic life is a choice you wish to make, or simply visit for a time of spiritual refreshment. Either way, our hope is that it will be a time of growth and renewal for you.